It's not hard to find interesting facts about Paris, France. The City of Lights in many ways is a living blend of old and new. Paris has been the center of French government for hundreds of years. Yet, as any city must, it continues to progress forward towards its future. It is not surprising that Paris is the largest metropolitan area within France. However, did you know that it is also one of the most densely populated metropolitan areas within Europe, and has a population of almost twelve million? Any student of French should take the time to learn more about this fascinating city. Named because its inhabitants were from the Gaul tribe of Parisii, Paris is also frequently referred to as the City of Light. Interestingly, this is both as a result of the city's role in the lives of the Enlightened thinkers and because the city was one of the first to display public street lamps along its avenues. It literally is a city of light in many ways. Paris has often been at the forefront of important historical moments. Considered the center of the Age of Enlightenment, it hosted a variety of important thinkers from Voltaire to Rousseau. It has always been at the center of major arts movements and is considered by some to be the birthplace of Impressionism. Thanks to the National Expositions held in the late 19th century, Paris became a city synonymous with technological advancements. In 1889 the world saw the Eiffel Tower completed, which was supposed to be a temporary installation. It remained a feat of engineering as the world's tallest building until the 1930s. In addition, in 1900 Parisians again solidified their standing as a center for technological advancement by unveiling the métro underneath the city's streets. Paris is divided into twenty areas or arrondissements. The first arrondissement is in the center of the city and the subsequent arrondissements follow in a clockwise spiral. It is common for someone to refer to an area according to the arrondissement, such as Paris 6, for example. The Seine River runs through the center of the city, slightly to the south, and it is a focal point for seeing Paris in all its grandeur. Taking a cruise on the Seine river allows tourists to pass most of the major historical monuments in the city. No doubt, tourism is a multi-billion dollar business in the City of Light. France protects its culture fiercely, and there is a constant battle of sorts between the push towards modernization and the preservation of typical French culture and traditions. The City of Paris, for example, has banned some major chain clothing stores from opening shop on the Champs-Élysées to preserve its character. When you're visiting, take a turn off the Champs-Élysées onto either Avenue Montaigne or rue du Faubourg Saint-Honoré. You will find nearly all of the top French designers on one of these two streets. 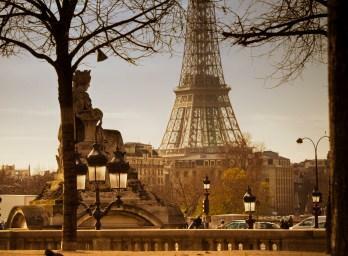 Paris makes a fabulous vacation and is definitely worthy of a stop if you are traveling through France. What's more, you could make an entire vacation out of just visiting Paris if you don't have the desire to go through the rest of France. Is there a better way to learn facts about Paris, France than by visiting?